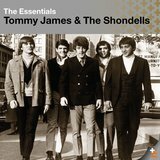 Tommy James & the Shondells — the very mention of their name, even to someone who doesn't really know their music, evokes images of dances and the kind of fun that rock & roll represented before it redefined itself on more serious terms. And between 1966 and 1969, the group enjoyed 14 Top 40 hits, most of which remain among the most eminently listenable (if not always respected) examples of pop/rock. 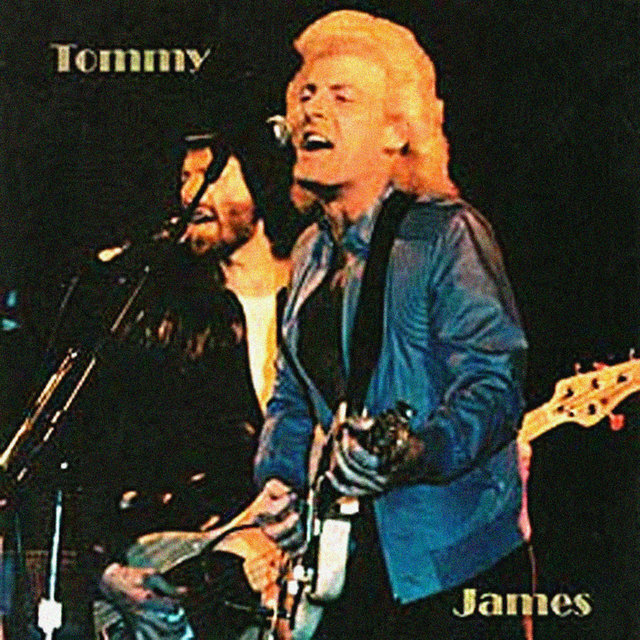 The group was almost as much of a Top 40 radio institution of the time as Creedence Clearwater Revival, but because they weren't completely self-contained (they wrote some, but not all, or their own hits) and were more rooted in pop/rock than basic rock & roll, it took decades for writers and pop historians to look with favor on Tommy James & the Shondells. 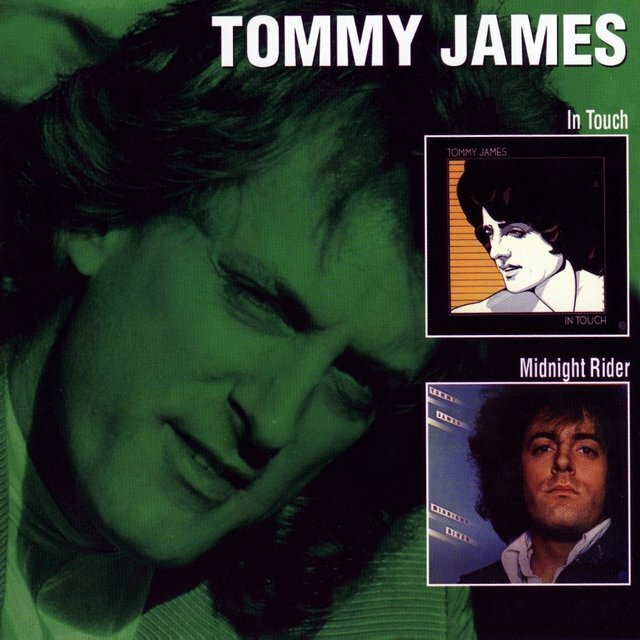 Tommy James was born Thomas Jackson on April 20, 1947, in Dayton, OH. He was introduced to music at age three, when he was given a ukulele by his grandfather. He was an attractive child and was working as a model at age four, which gave him something of a taste for performing. 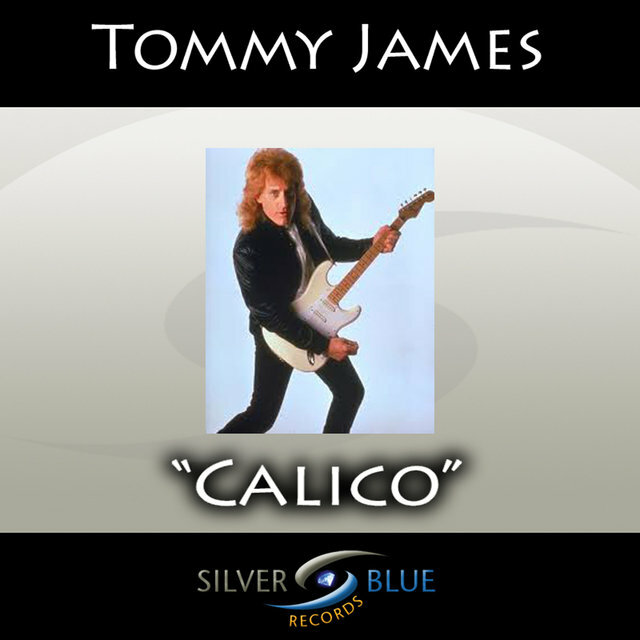 By age nine he'd moved to the next step in music, taking up the guitar, and by 1958, when he was 11, James began playing the electric guitar. In 1960, with his family now living in Niles, MI, 13-year-old James and a group of four friends from junior high school — Larry Coverdale on guitar, Larry Wright on bass, Craig Villeneuve on piano, and Jim Payne on drums — got together to play dances and parties. 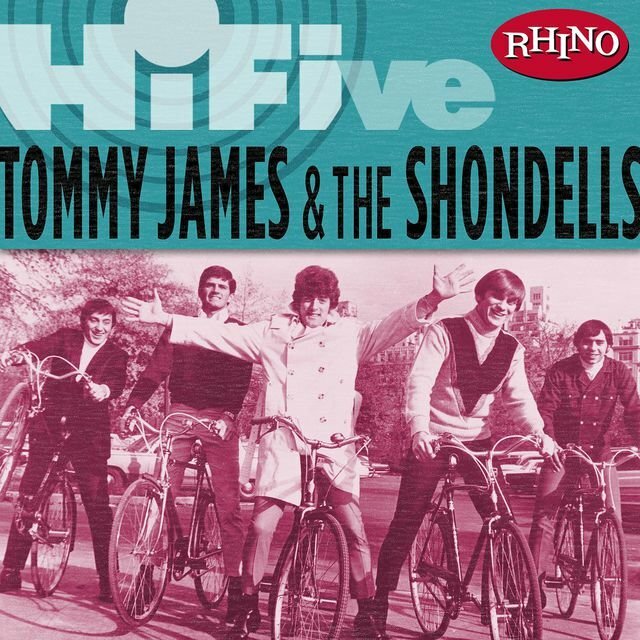 This was the original lineup of the Shondells, and they became good enough to earn decent money locally, and even got noticed by an outfit called Northway Sound Records, who recorded the quintet in a Tommy James original entitled "Judy" in 1962. That single didn't make much noise beyond their immediate locale, but in late 1963, the group came to the notice of a local disc jockey starting up a new label called Snap Records. They cut four sides, two of which were issued and disappeared without a trace on their first Snap single. The second Snap label release, "Hanky Panky," was golden, at least in the area around Niles. 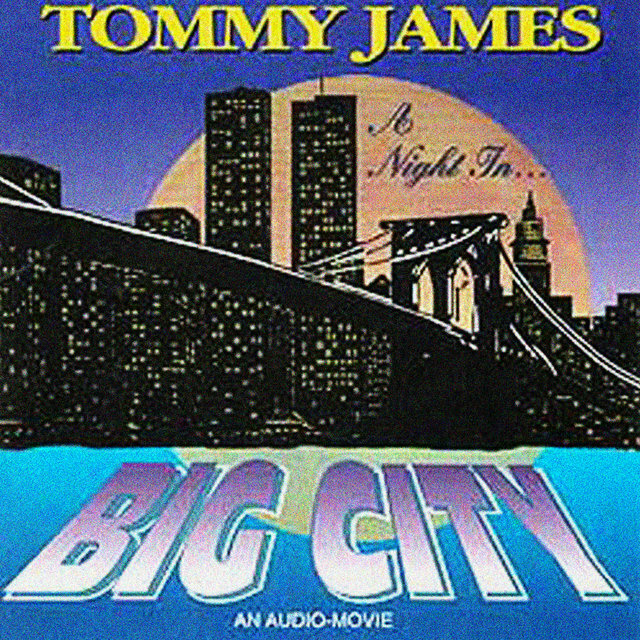 A Jeff Barry/Ellie Greenwich song that the couple had already recorded under their nom de plume, the Raindrops, as a B-side that James and company had heard done by a rival band, "Hanky Panky," had become part of James' group's stage act. It was enormously popular on-stage, and the Snap single took off locally in Niles and the surrounding area, but it never got heard any further away. James and company picked up their marbles and went home, abandoning aspirations for a recording career in favor of pursuing music part time — the singer/guitarist took a day job at a record store and confined his music efforts to the nighttime hours. 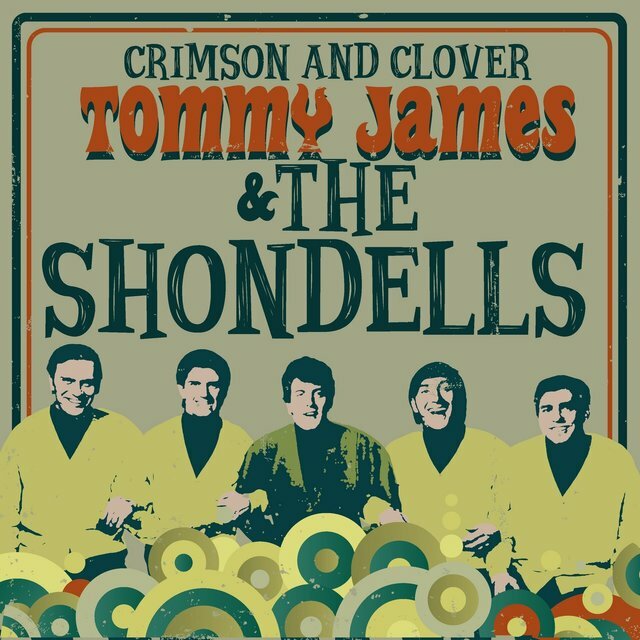 The two years that ensued, from early 1964 until 1966, saw the original Shondells break up, as members left music or were drafted. 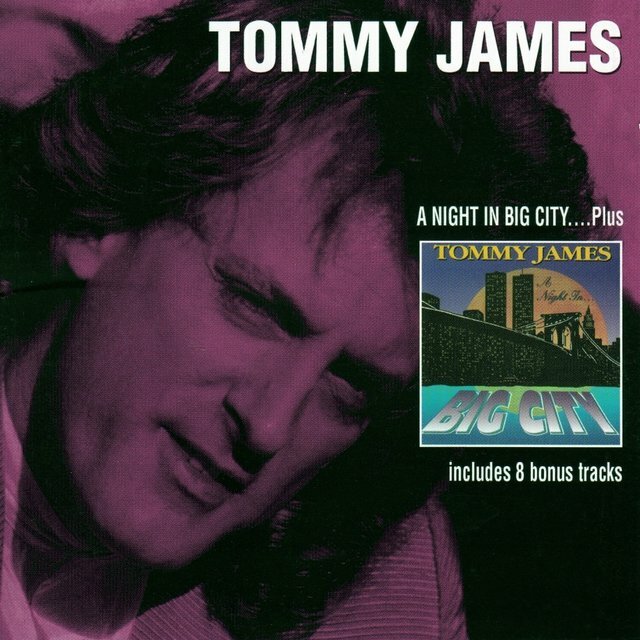 This didn't seem to make much difference until a day came when James got an urgent request from a promoter to do a concert in Pittsburgh, PA. Considering that the group had never even played there, he was puzzled. He soon found that the Snap Records single "Hanky Panky," recorded back in 1963 and overlooked in Chicago and Detroit at the time, had suddenly broken out in Pittsburgh. A promoter, having found a copy of the Snap single in a used-record bin, had liked what he heard and gotten the record played locally at dances. In one of those fluky instances that made the record business in those days a complete marvel, people suddenly started requesting "Hanky Panky," and in response to the demand, bootleggers began producing it, attributed to various labels — some sources estimate that as many as 80,000 copies were sold in Pittsburgh before the smoke cleared. 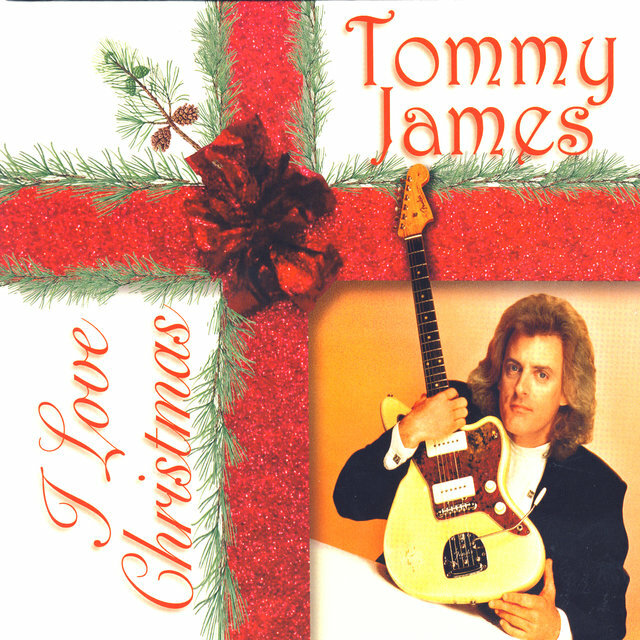 James saw what he had to do, but he no longer had a band and was forced to recruit a new group of Shondells. The lucky winners were the Raconteurs, a local Pittsburgh quintet. They became the Shondells, with Joe Kessler on guitar, Ron Rosman on keyboards, George Magura on sax, Mike Vale on bass, and Vinnie Pietropaoli on drums; Peter Lucia and Eddie Gray, respectively, replaced Pietropaoli and Kessler, and Magura and his saxophone didn't last long in the lineup. 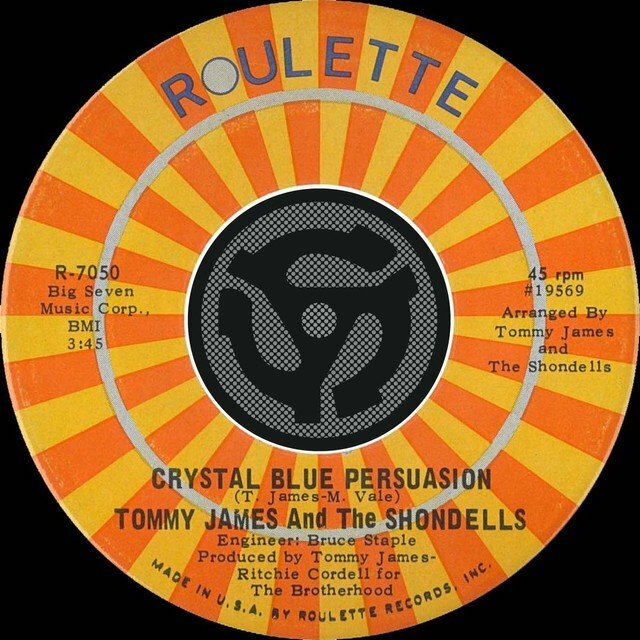 From near-total obscurity, this version of Tommy James & the Shondells went to playing to audiences numbering in the thousands, and were being courted by Columbia Records and RCA-Victor. It was Morris Levy and Roulette Records, however, who outbid everybody and won the group's contract, and got a number one national hit with "Hanky Panky," in the version cut by the original group nearly three years earlier. 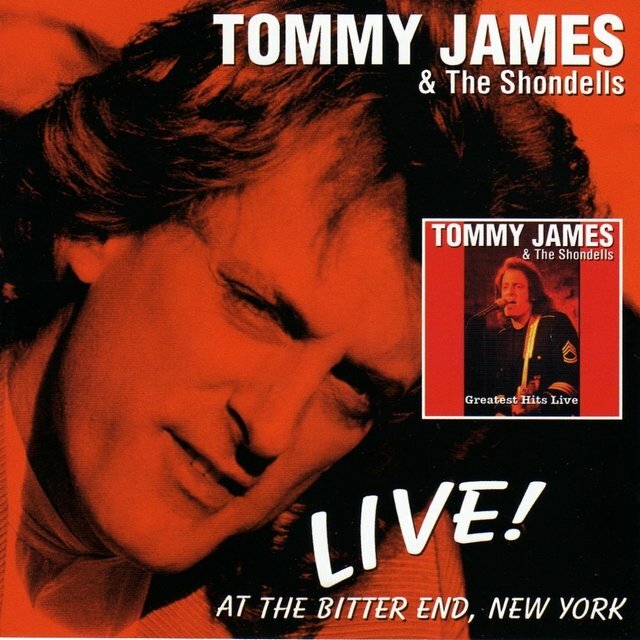 Tommy James & the Shondells, revamped, revised, and reactivated, spent the next three and a half years trying to keep up with their own success. "Say Am I," their second Roulette single and the first by the extant group, only got to number 21, but it was accompanied by a pretty fair Hanky Panky LP, showing off the group's prowess at covering current soul hits by the likes of the Impressions, James Brown, and Junior Walker & the All-Stars. A third single, "It's Only Love," reached number 31, but the fourth, "I Think We're Alone Now," issued in early 1967, got to number four, and the fifth, "Mirage," was another Top Ten release. 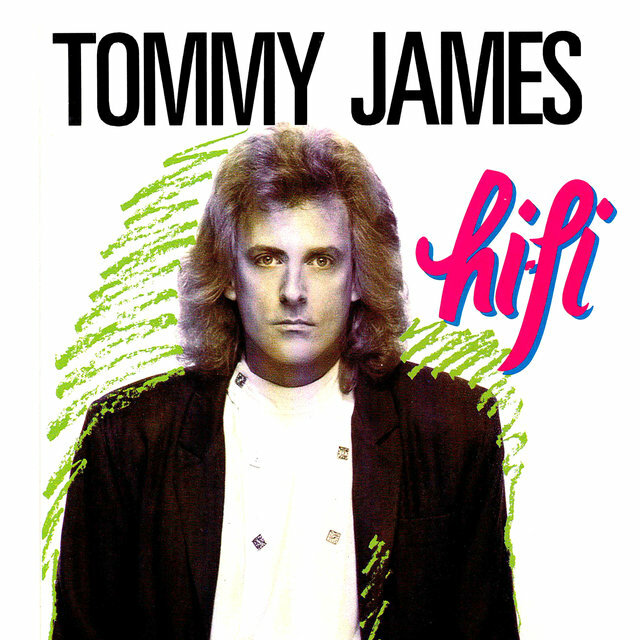 The latter record was truly a spin-off of the previous hit in the most bizarre way — according to James, "Mirage" was initially devised by playing the master of "I Think We're Alone Now" backwards. 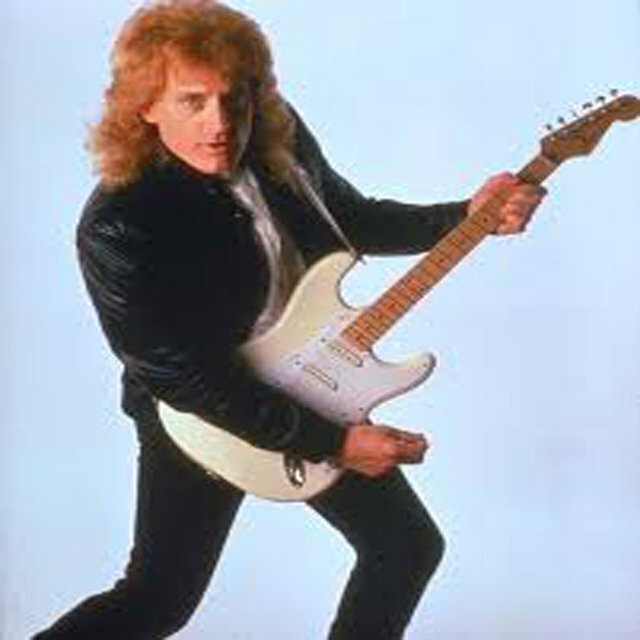 Those recordings were the work of songwriter and producer Ritchie Cordell, who became a rich source of material for the group for the remainder of their history. 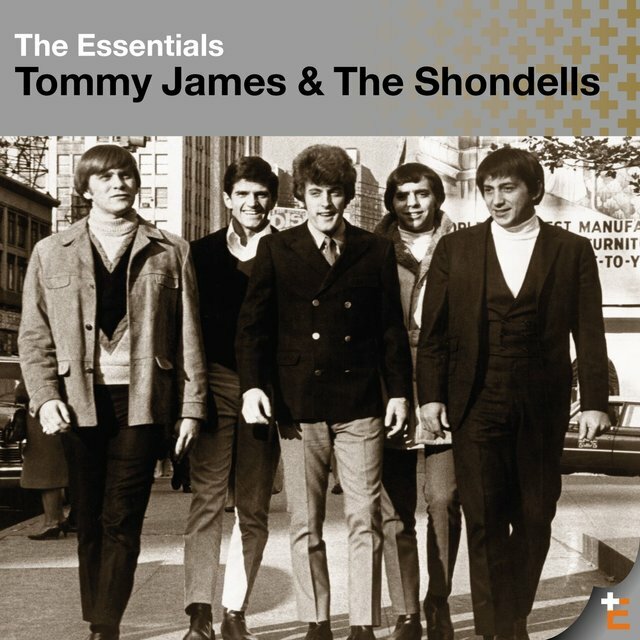 Tommy James & the Shondells were lucky enough to be making pop-oriented rock & roll in an era when most of the rest of the rock music world was trying to make more serious records and even create art (often even when the act in question had no capacity for that kind of activity). 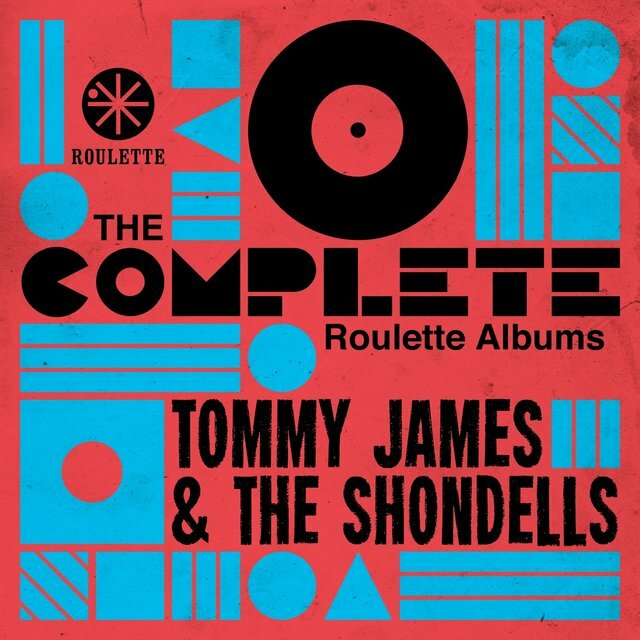 They were at a label who recognized the need to spend money in order to make money, and didn't mind the expense of issuing a new LP with each major single, despite the fact that Roulette was mostly a singles label where everything but jazz was concerned. 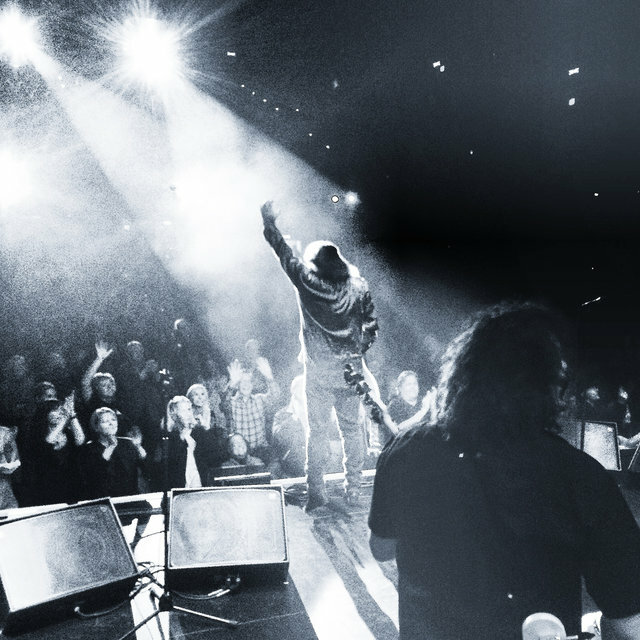 The group members themselves were having the time of their lives playing concerts, making personal appearances, and experimenting with advancing their sound in the studio. Audiences loved their work and their records, and it only seemed to get better. Their songs ran almost counter to the trend among serious rock artists. 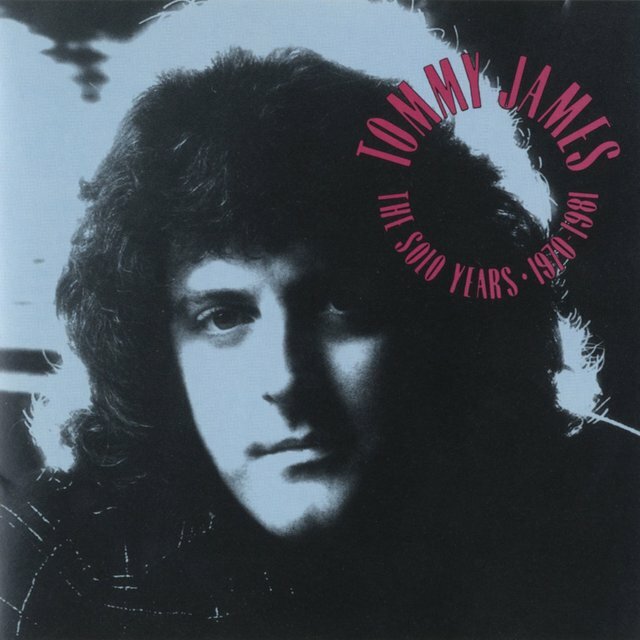 "Mony Mony," a number three hit coming out in the midst of Vietnam, the psychedelic boom, and just as rock music was supposed to be turning toward higher, more serious forms, was a result of the group looking for a perfect party record and dance tune; even the name was sheer, dumb luck, a result of James spotting the Mutual of New York (MONY) illuminated sign atop their building in mid-town Manhattan at a key moment in the creative process. 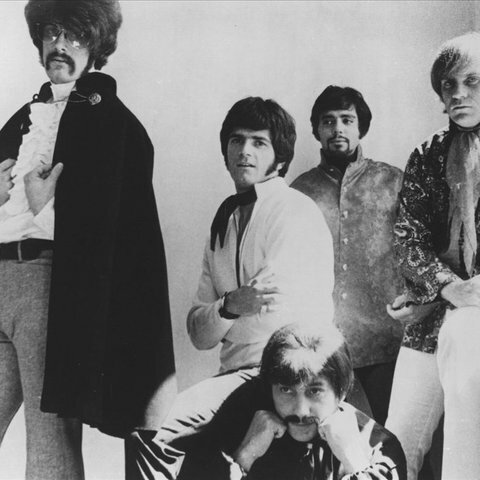 The group did grab a piece of the prevailing style in late 1968 with "Crimson and Clover," an original by James and drummer Peter Lucia that utilized some creative sound distortion techniques. A number one hit that sold five million copies, it was the biggest single of the group's history and yielded a highly successful follow-up LP as well — ironically, the latter album included liner notes by Vice President Hubert Humphrey, who had gotten to know the band in the course of their performing at some of his campaign events during his 1968 run for the presidency. 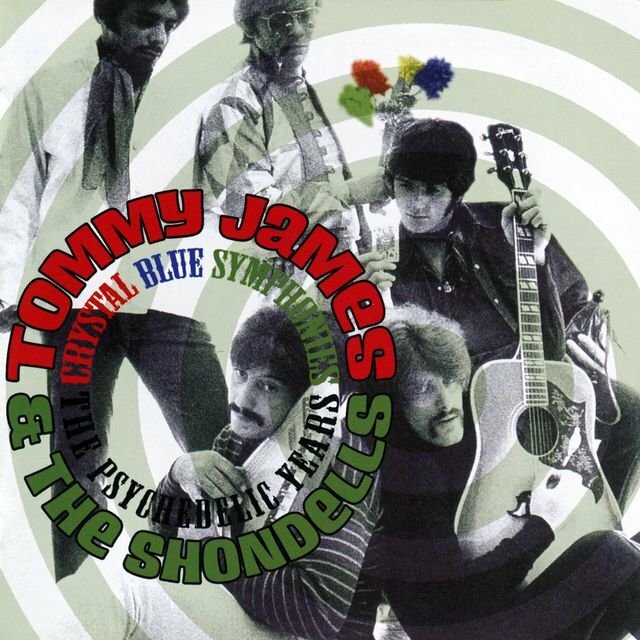 James and company were among the top pop/rock performers in the world during 1969, with two more major hits, "Sweet Cherry Wine" and "Crystal Blue Persuasion," to their credit. Indeed, their presence on the Crimson and Clover album, in addition to the title cut, helped loft that record to a 35-week run on the charts, an extraordinary achievement not only in the history of the band but also — for a non-greatest hits album — for Roulette Records, who weren't known as a strong album label. They also began experimenting more with new sounds during this period, most notably on their next album, Cellophane Symphony. The latter record, whose release was delayed for four months because of the extraordinary sales of Crimson and Clover, had its share of basic rock & roll sounds but also plunged into progressive/psychedelic music with a vengeance, most notably on "Cellophane Symphony," a Moog-dominated track that sounds closer to Pink Floyd than anyone ever imagined possible. 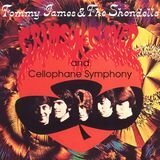 Cellophane Symphony sold well without breaking any records by its predecessor, and proved in the process that Tommy James & the Shondells could compete in virtually any rock genre. The only miscalculation made by the band was their declining an invitation to perform at Woodstock; the mere credit, coupled with perhaps an appearance in the movie or on the album, might have enhanced their credibility with the counterculture audience. 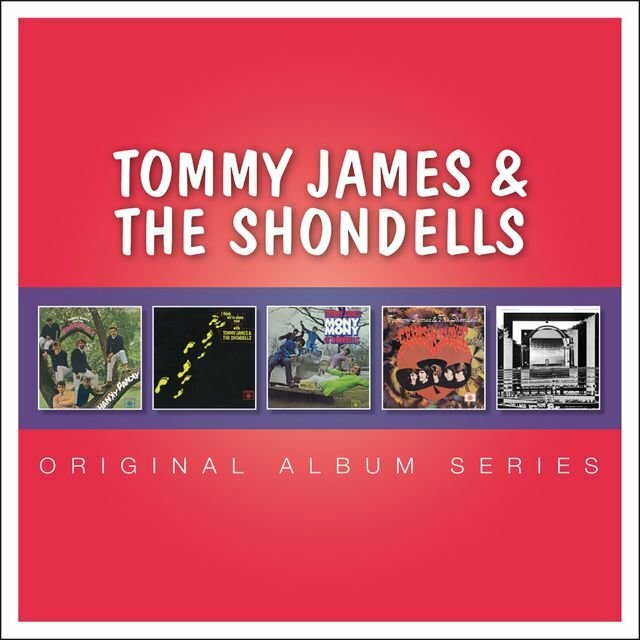 The end of the Shondells' history came not from any real decision, but simply their desire to take a break in 1970, after four years of hard work and a lot of great times. 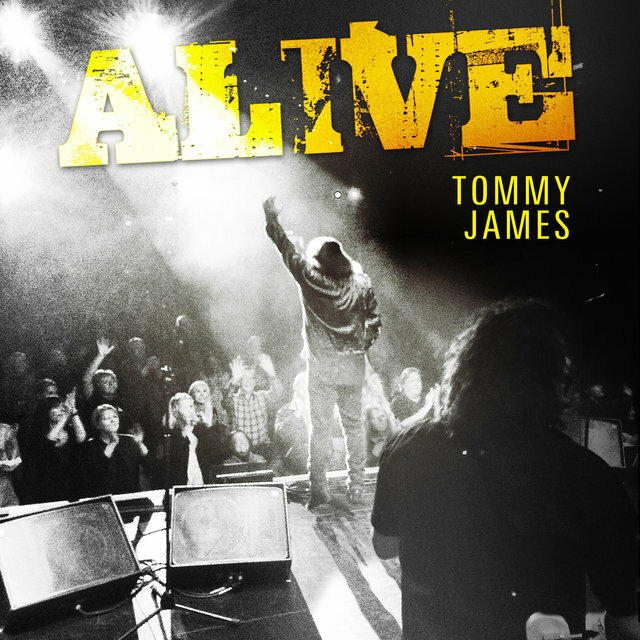 The moment also seemed right — James was getting involved in other projects and moving in other directions, including writing and producing records for acts like the Brooklyn-based band Alive and Kicking, whose "Tighter and Tighter" got to number seven, and his own solo recordings. 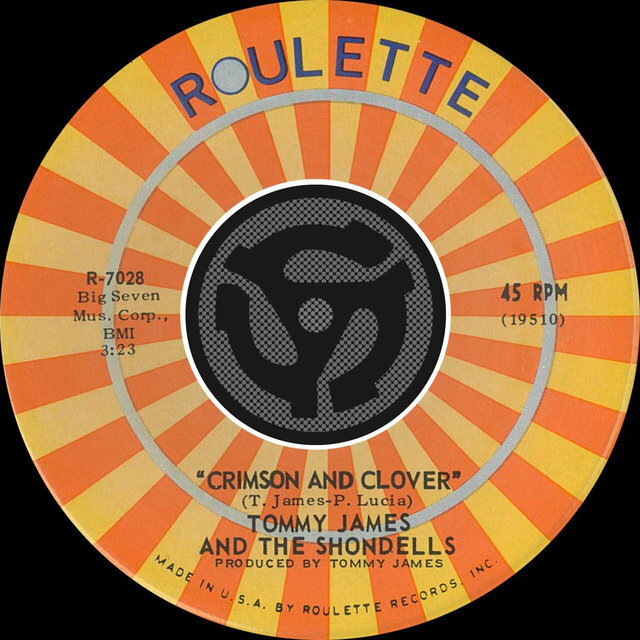 The Shondells continued working together for a time as well, under the name Hog Heaven, cutting one album for Roulette before withdrawing back to the Pittsburgh area where they'd started. 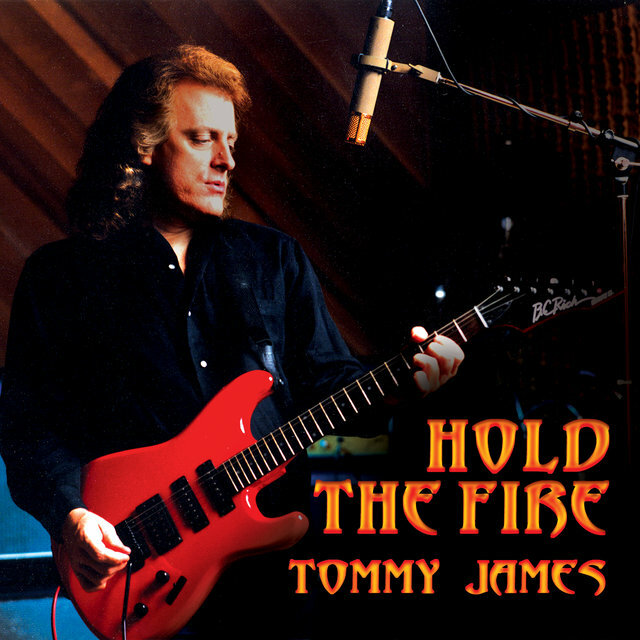 James went through a lot of different sounds on his own records, including country (My Head, My Bed, & My Red Guitar) and Christian music (Christian of the World), and charted in the Top Ten one last time in 1971 with "Draggin' the Line," although he also saw more limited success for another two years with records such as "I'm Comin' Home" and "Celebration." In the mid-'70s, he made a jump from Roulette Records, where he'd based his career for nearly a decade, to Fantasy Records, and he later recorded for Millennium Records. 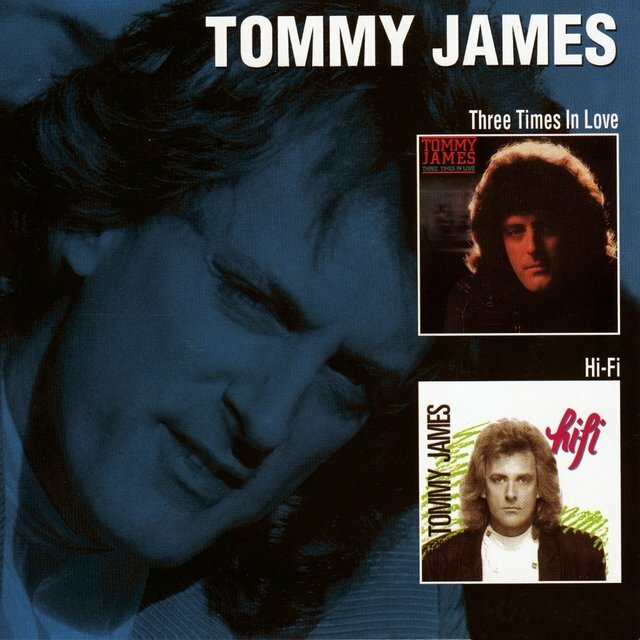 Following his 1980 Top 20 hit, "Three Times in Love," he resurfaced as a concert artist playing his old hits as well as new songs, although some of these shows were marred by reports of late arrivals and less-than-ideal performances; he has since reestablished a record as a serious crowd-pleasing act, cutting records anew with Cordell and even releasing a live hits collection in 1998. 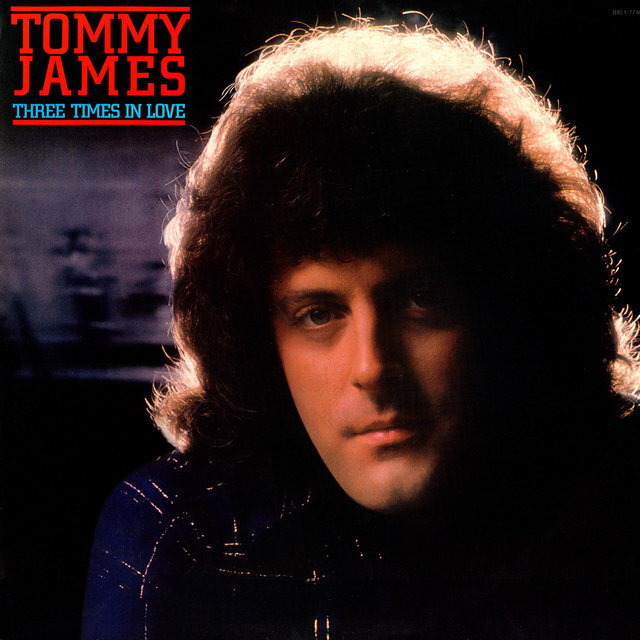 Tommy James & the Shondells have even achieved something that they saw relatively little of in their own time — respect. In the years 1966-1970, they were regarded as a bubblegum act and part of the scenery by the few discerning critical voices around, but in the '80s, their music revealed its staying power in fresh recordings (and hits) by Joan Jett, Billy Idol, and Tiffany, with "Crimson and Clover," "Mony Mony," and "I Think We're Alone Now," respectively; indeed, in one of those odd chart events that would have seemed more likely in the '60s, in 1987, Tiffany's version of "I Think We're Alone Now" was replaced at the number one spot after two weeks by Billy Idol's rendition of "Mony Mony." 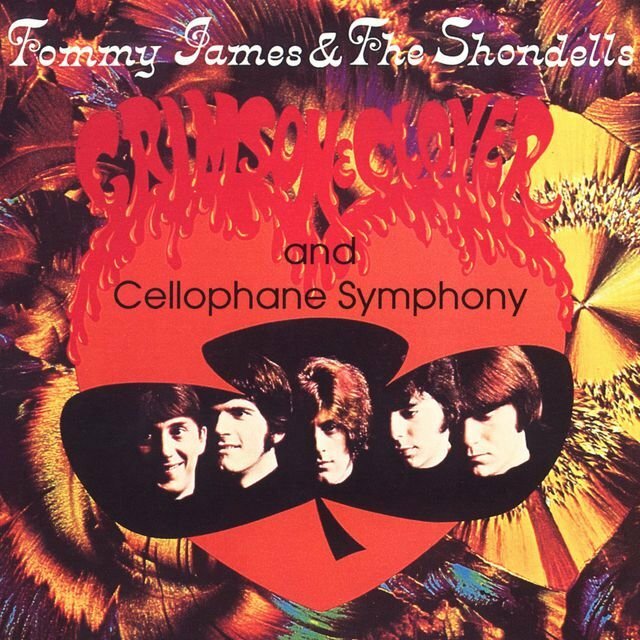 Rhino Records' reissue of the Crimson and Clover and Cellophane Symphony albums, in addition to greatest hits collections and a survey of James' solo recordings from the decade 1970-1980, also seemed to speak for the group's credibility, and a 1997 Westside Records double CD, It's a New Vibration, offering unreleased songs from the '60s as well as all of the key single tracks, confirmed the level of seriousness with which the group was perceived.